The best laid plans …. 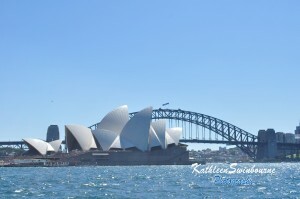 Everybody knows the Sydney Opera House & Harbour Bridge, Bondi Beach, Uluru, and the Great Barrier Reef. But there are many other places that are just as magnificent that you’ve probably never heard of or, if you do know them, haven’t thought about visiting. Places that are seared into the Australian psyche,but which even locals don’t know. Places where you can have truly unique experiences. Places that are truly iconic. 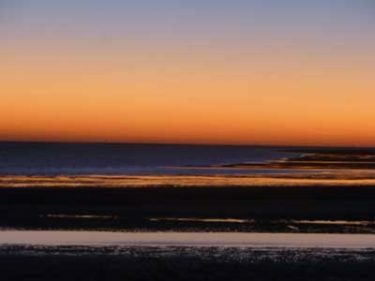 On the Gulf of Carpentaria in northern Queensland, Karumba is one of the few places in the world where you can witness a Morning Glory. And no, I don’t mean by peering in someone’s bedroom window! A morning glory is a cloud formation, or more specifically, according to Wikipedia it is “a rare meteorological phenomenon consisting of a low-level atmospheric solitary wave and associated cloud, occasionally observed in different locations around the world. The wave often occurs as an amplitude-ordered series of waves forming bands of roll clouds. Apparently you can even wind surf in it. Or so I’ve been told. Less well known than the Barrossa Valley or McLaren Vale, the Adelaide Hills makes the best sauvignon blancs in the world. I lived in Adelaide when I was younger, but never visited the Adelaide Hills. 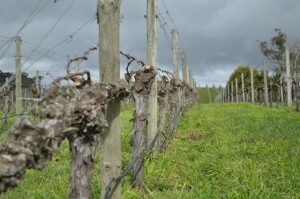 I made lots of trips to the Barossa, Clare, and even McLaren Vale, but somehow the Adelaide Hills Always missed out. Now my sister lives in the foothills of the Adelaide Hills, so travelling to some amazing wineries is part of every visit I make to Adelaide. 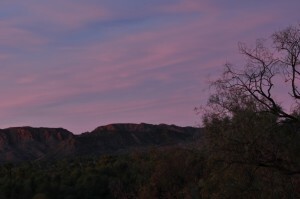 Second cousin to the better known, and more visited, West McDonnell Ranges, the East Macs is just as beautiful, and a lot quieter. While there are still amazing gorges, they are not as easily accessible as the West Macs, and you do need a 4WD to get to some of them. Wilcannia??? I hear you exclaim Are you mad??? Actually – no, I’m not. Situated on the Darling River, Wilcannia has some beautiful old buildings from its days as a river stop, as well as the beauty of the Darling River. 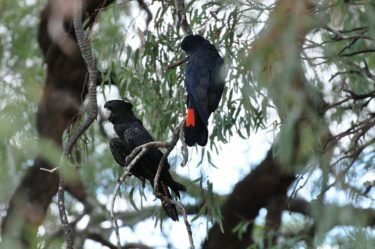 If you’re lucky you might see a flock of red tailed black cockatoos in the gum trees by the river, or see emus wandering down the main street. There’s also the nearby Paroo-Darling National Park, with amazing birdlife and rich in cultural history of the local Ngiyeempaa and Paakantyi people. And there’s White Cliffs. 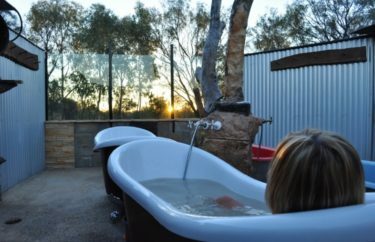 Like Coober Pedy, White Cliffs is an underground opal mining town, where you can sleep in an underground motel and see some of the best sunsets and night skies you’ll find. Home to 50 people (and 1500 lizards), Eulo is Australia’s best kept outback secret, and a must at the end of a dusty outback trek. 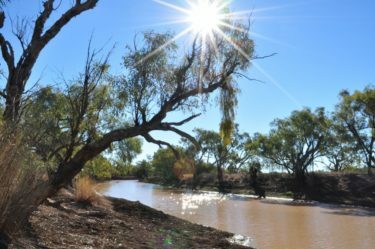 Eulo is on the Natural Sciences trek through south-western Queensland, that takes in places that are somehow significant for their nature – geology, water, flora and fauna, etc. Eulo has mud springs, where the Great Artesian Basis sometimes bursts through the surface. It also has mud baths. Those mud baths have become a must-do for me at the end of every trip. And it’s not just the mud baths. The free camping by the Paroo River is magnificent. If you’re lucky you might even catch your dinner. If not, I can recommend the food and company at the local pub. I love Eulo so much that I tried to talk Doc into buying the local pub when it was for sale a few years ago. Did you know that the song is based on a real incident, in a real place? According to local legend, that billabong is Combo Waterhole, outside Kynuna in outback Queensland. The owner of Dagworth Station, Bob MacPherson told Banjo Paterson the story of striking shearer, Samuel Hoffmeister’s, suicide beside the Diamantina …. And so the legend began. I’d never heard of Combo Waterhole until I was visiting Julia Creek and just happened to pick up a brochure. And I nearly missed it even when we were looking out for the signs. 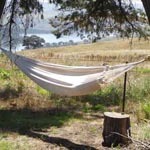 It is so unknown that I managed to have a nap under the shade of a coolabah tree. Undisturbed by any visiting troopers.